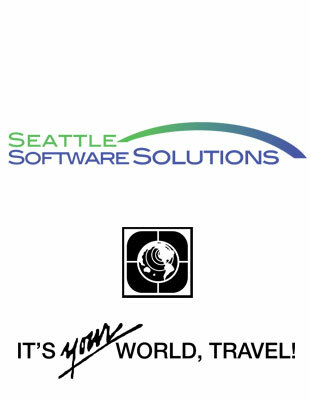 Seattle Software Solutions offers web development services for Rotary Youth Exchange Districts throughout the world. The key to developing effective Rotary Youth Exchange websites involves solid marketing through superior design and an exciting and satisfying user experience through the tools that are offered on the site. Read on, to learn more about Seattle Software Solutions and Rotary Youth Exchange website development! Many programs exist in the high school exchange student market. In addition to Rotary Youth Exchange, these programs include AYUSA, AFS, YFU, and CIEE just to name a few. It is no secret that of all these programs, Rotary Youth Exchange is the premiere program. Why? Because of the Rotarians around the world who act as volunteers that provide support to the students as they work through the challenges of being Outbounds, Inbounds, and Rebounds. Due to the rise in technology and the Internet, having an attractive and marketable website has become increasingly important for Rotary Youth Exchange Districts across the world. In order to reach high school students, more than a simple static website* is needed. The use of new technologies tied with a clean and modern design will not only bring students to your district's website, but it will keep them there to learn more about the Rotary Youth Exchange program. Managing student information is challenging enough. 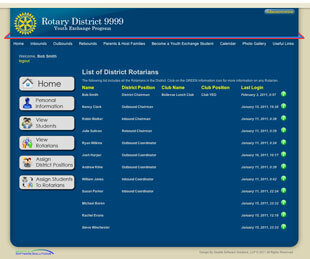 Now consider all the information that comes from host families, quarterly reports, and even Rotarians themselves! Managing all this information for a district is a full time job. Our tools enable Rotarians to stay focused on the students and spend less time with the busy work. Seattle Software Solutions has the requisite experience and background to produce this kind of website for your district! Both partners have had years of experience in the District Rotary Youth Exchange program. Kyle Barnes has not only been an exchange from District 7670 (USA) to District 1800 (Germany) in 2000, but he has maintained on going world wide relationships in the years since, with full and temporary work for It's Your World-Travel! Most recently Kyle has received his MSc in Information Technology from the Hong Kong Polytechnic University where he focused on web development technologies. Ed Piekarczyk, the other partner and owner of It's Your World - Travel!, has over 30 years of experience working with Rotary Districts in North America and with Rotary Districts world-wide. We both continue to attend NAYEN, EEMA, SACA and Rotary International Youth Exchange conferences to maintain these on-going relationships and to expand the vast knowledge of the program. This uniquely positions Seattle Software Solutions, to be immediately "up to speed" so that this knowledge can be used to provide the website solution uniquely customized to meet your district's needs and budget. So we can help your district's youth exchange program succeed!